Collision mitigation system. Blind spot monitoring. Adaptive cruise control. Proximity sensors. CVT transmission – these are all common terms taken from today’s automotive glossary. They’re also synonyms for boring. Truth is, while many believe these technologies are helping the human race become more efficient on the road, I believe they’re making us stupider and lazier. To make things even worse, we’re told that soon, our lives will be handed over to the brains of robots. Cars are now, in some cases, driving themselves. This means that we’re deliberately giving away one of the only freedoms we had left to artificial intelligence. Driving, it seems, is slowly becoming something of the past. Thankfully, some carmakers still believe in the driving experience. Take Subaru and Toyota for instance. Both are the makers of boring crossovers, sedans, and hybrids. Both could have very well decided to default to this profit-making “for your own safety” marketing shenanigan. But they didn’t. Instead, they’ve purposely joined forces to build the ultimate driver’s car. A vehicle free of spec sheets, fuel ratings, electronic nannies, complicated autonomous technology, and self-shifting transmissions. What they’ve created is a blessing, a gift from the automotive gods to help us fight off this wave of robotic machines we’re submerged in. They named it the BRZ (GT86/FR-S), and it’s just been given a facelift. 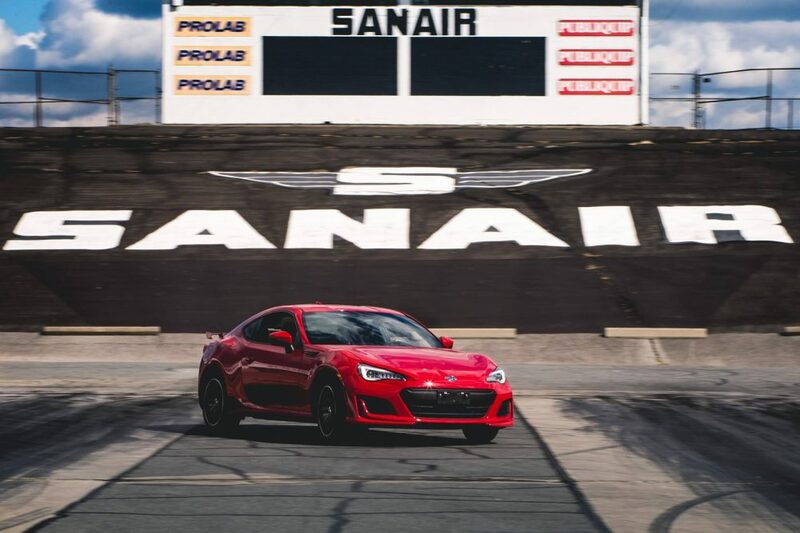 That’s how much more horsepower the 2017 Subaru BRZ has been given. Five. Do you need to care? Nope! For those who do care though, and since you’re interested in the BRZ, you obviously do, 2017 brings an array of minute changes that add up to vastly improve an already impressive little car. 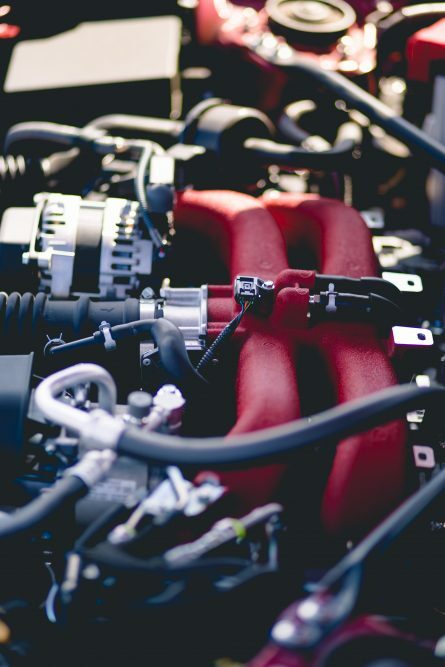 The naturally aspirated 2.0L boxer engine has been given an updated airbox feeding an aluminum intake system. The exhaust now benefits from 3 mm larger tubes paired with freer flowing manifolds, hence the extra 5 hp. Torque also gains 5 extra lb-ft. Total output is now 205 hp, and 156 lb-ft respectively. But seriously, it’s not really important. Since I’m being geeky; the BRZ’ pistons have also been shot-penned for added strength, the crankshaft bearings have been beefed up, and the final drive has been changed from 4.10:1 to 4.30:1. Apparently, that’s to help better exploit the engine’s potential close to redline. Mounting points for the front strut-tower brace, transmission, and rear struts have all been reinforced, and the suspension has been retuned with a larger rear anti-roll bar as well as revised spring rates – stiffer up front, softer at the rear. Because rear-wheel drive. Aesthetically speaking, the 2017 Subaru BRZ receives full LED headlights and tail lights, a new front fascia which makes the car look meaner and wider, a new set of wheels, and a rear deck lid spoiler which is now standard on all trim levels. Personally, I’ve always preferred the BRZ over the Scion FR-S (now the Toyota GT86) for its cleaner, more mature styling. Overall though, this is the same excellent design as when it was released back in 2013 – that is; an attractive, low-slung little coupe with bulging rear fenders and truly impeccable proportions. It’s also very tiny, but unlike the Mazda MX-5, which I could hardly fit into, my full-size frame fits comfortably in the BRZ. How Does it Drive Will? Jesus Christ this thing is perfect. 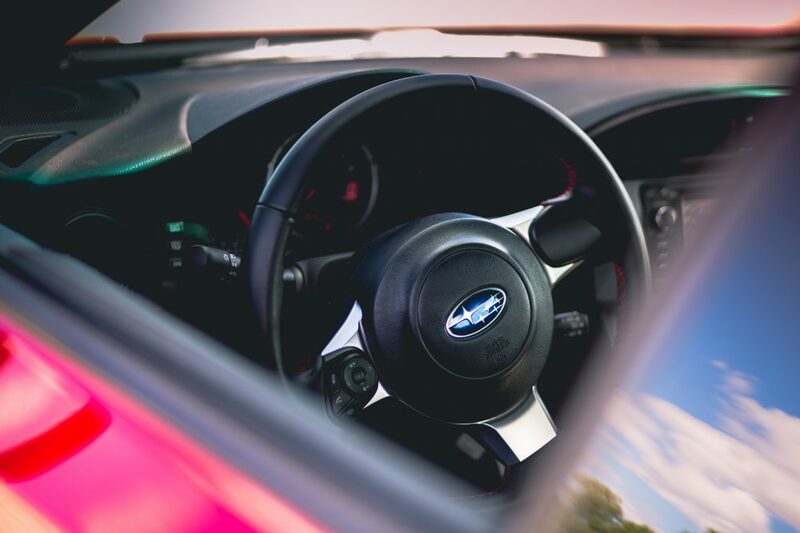 You will never understand the Subaru BRZ until you sit behind the wheel. No spec sheet, article, photo gallery or Youtube video will do it justice. The only way you can understand its potential is by hard-wiring your soul to it – through its set of three (at last!) pedals, its physical shifter, and steering wheel. Is it fast? Not really. I mean, it still has 205 hp and weighs just over 1200 kg, which isn’t really all that bad. It gets from 0 to 100 km/h in about 6.3 second, slightly slower than the MX-5. And you really need to rev the snot out of it to get any kind of go power. The torque curve is also rather odd, with a sudden dead spot at around 4000 rpm where nothing seems to happen at all, until it picks back up at around 5000 rpm with a solid rush of power all the way to the 7500 redline. That said, it is an engine that will let you push it to its limits all day long. And I love how it delivers power; it’s just so urgent, so eager. Also, thanks to those intake and exhaust modifications, you hear every single induction and exhaust note as you’re rowing through the gears. 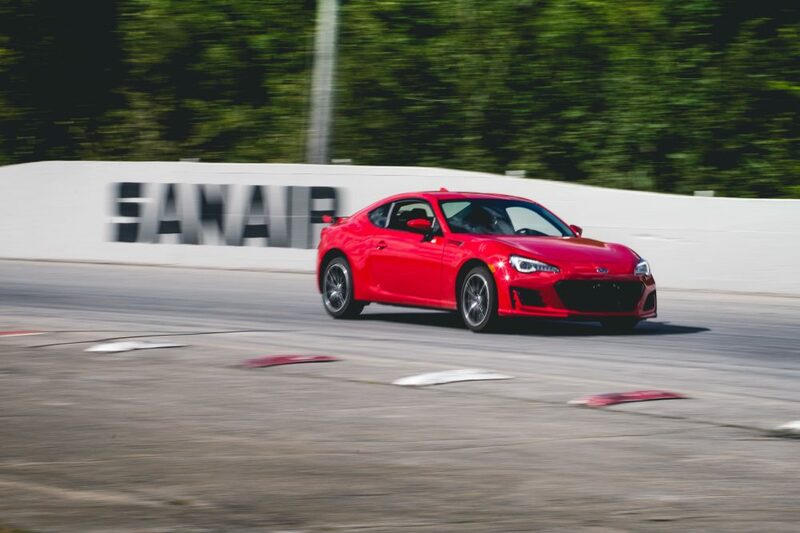 And there lies the BRZ’s real charm: you’re never really going that fast, so you can push this car to its limits all the time in total confidence, without fear of dying or getting arrested. Seating position is perfect. Visibility up front is excellent, but blind spots are hard to see due to the tiny quarter windows back there. There’s no blind spot monitoring system, but you can live without it. 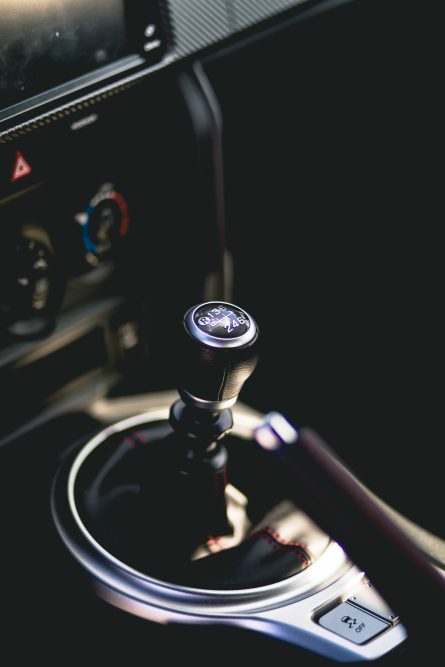 Pedals are closely spaced for heel and toe driving, and the 6-speed bolt action manual transmission is precise and enjoyable to row through the gears. 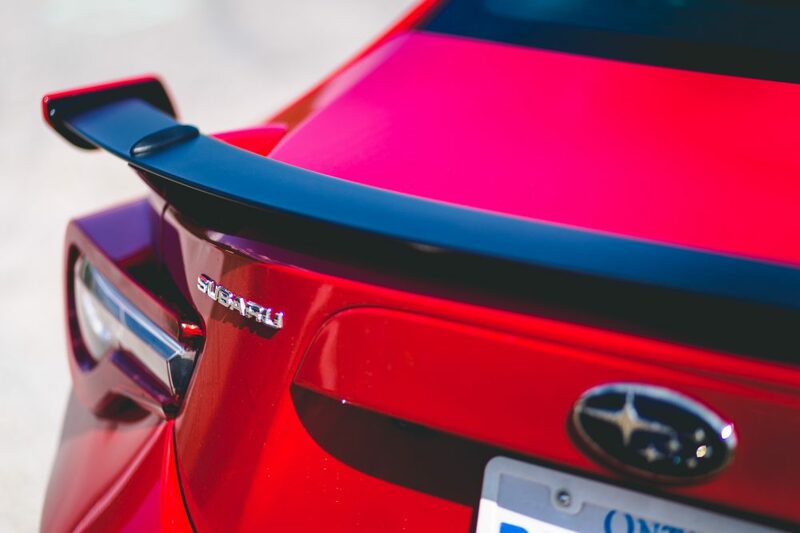 It also retains the traditional Subaru quirks, meaning it vibrates to the tune of the boxer engine, and will sometimes hesitate to enter a cog – especially in first gear. Test the playful chassis’ limits however, and it defaults to adrenaline pumping oversteer; not the kind to drive you into a wall, but rather a perfectly controllable drift which can be instantly corrected with the impeccably precise steering. This is a car that favors balance over raw power, and rewards good driving. 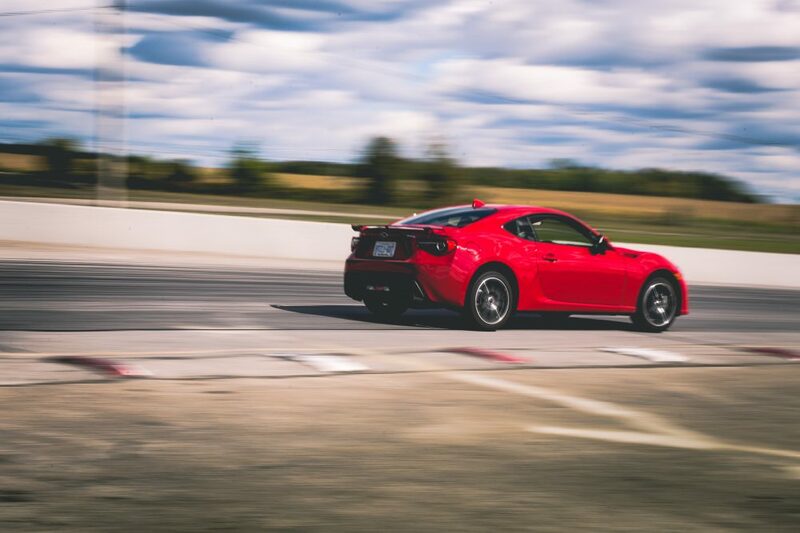 Every drive is a workout with the BRZ. Not that it’s hard to drive or anything, but you’re working for your performance and the car never spoils you. Do it wrong though, and it will punish you. 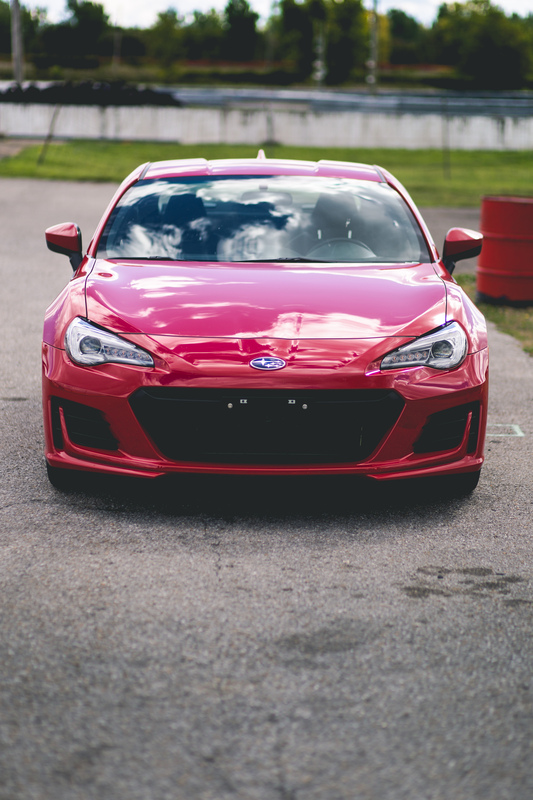 The BRZ begs you to drive it and puts nothing in your way to prevent you from doing so. Isn’t this the very essence of driving? For the longest time, I’ve ranted about how the cars that are the most flawed, are those with the most character. 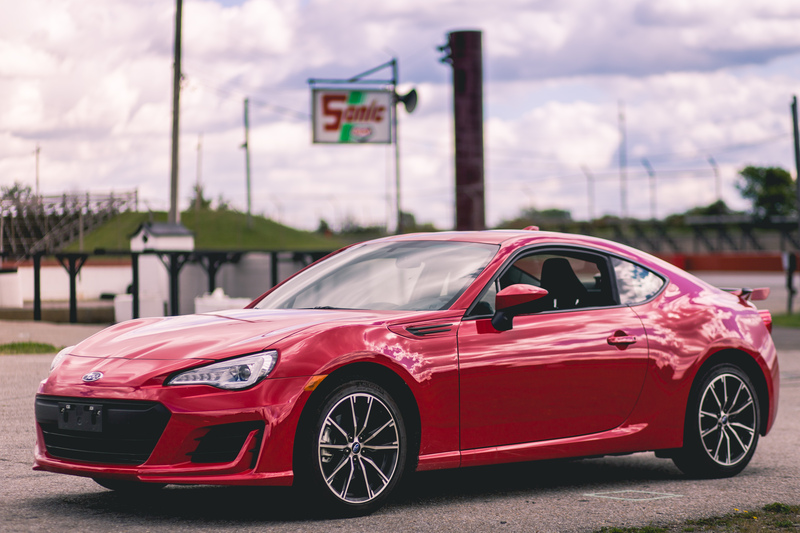 The Subaru BRZ is far from being a perfect vehicle, but the things it does right, are done impeccably well. There are a few: the interior, although a very attractive and properly sporty design, is filled with flimsy hard plastics, questionable ergonomics, and a, well, totally nonexistent infotainment system. Lift the power windows, and you’ll probably hear an unwanted squeak as it makes its way up the rail. 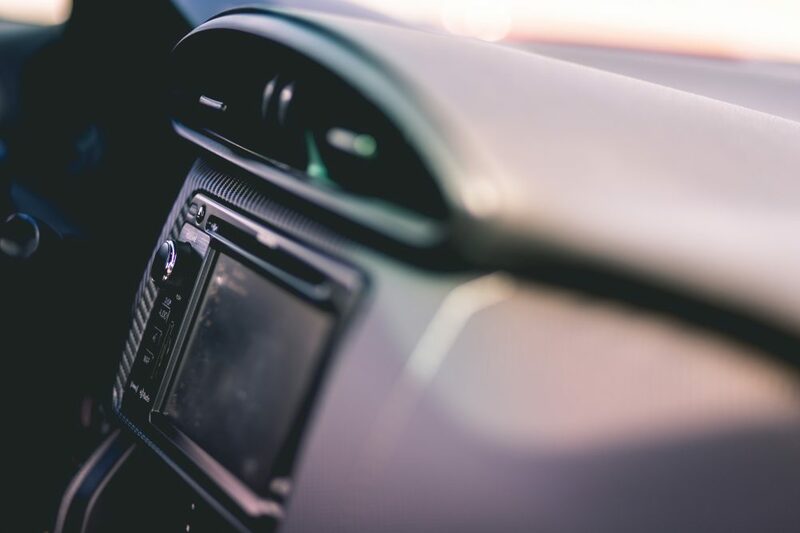 Road and wind noise can also be easily heard through the cabin. Then, there’s the practicality. Although more spacious than a Miata, those rear seats will only engulf a small child. Or a person with no legs. Truth be told, the car is filled with compromises. The boxer engine is, well a Subaru boxer engine. Meaning it sounds like it’s broken when on idle, and will make odd noises when running cold. 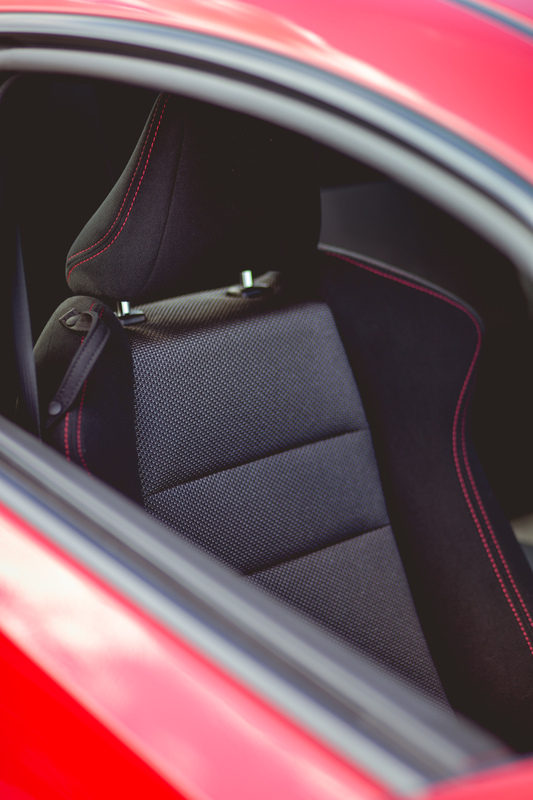 But that’s the whole point – it adds character to the car, and makes the BRZ feel like a truly special little machine. At the end of the day, you can’t deny the engineering prowess that was pumped into this car, and you really see the genius of both Toyota and Subaru come alive. 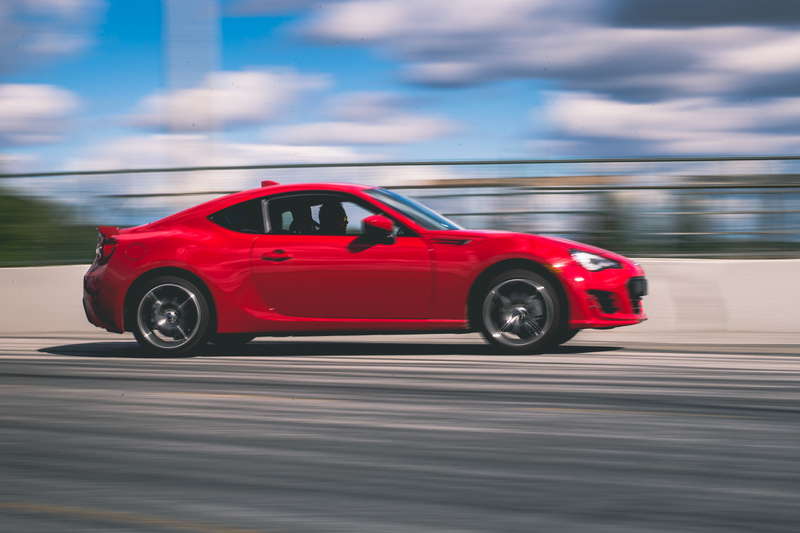 That boxer, it may make odd noises, but thanks to its low centre of gravity, it gives the BRZ a better weight distribution than most supercars. And with Toyota’s patented direct injection system fitted onto it, it will rev all the way to redline without showing any sign of fade. The only other boxer-powered car to have such a quality is a Porsche 911. And then, there’s the final coup de grâce: the price. 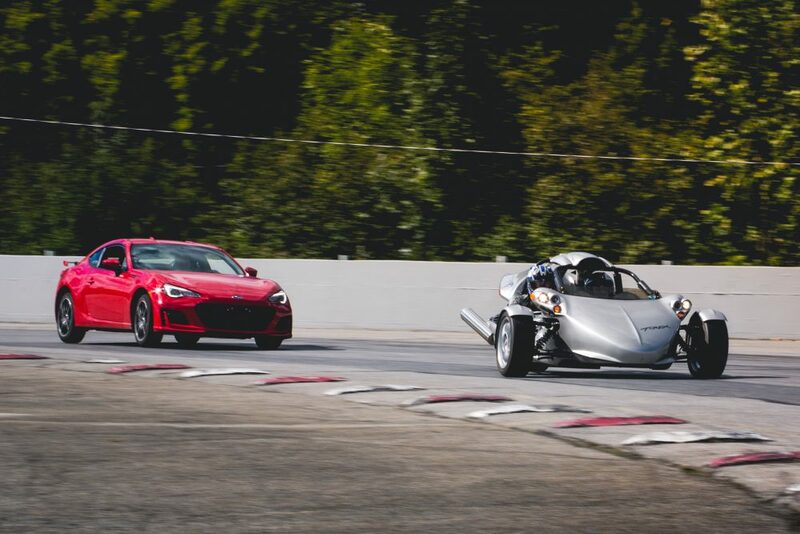 Many will ask why go for a BRZ instead of the almighty Mazda MX-5, a car that is quicker off the line, probably more reliable, and adds wind-in-your-hair motoring. The reality is, the Miata is much more expensive. Whereas the Mazda starts at 32k and can quickly get close to 40k, you can drive out of a Subaru dealership with a Pure Red BRZ, just like my tester, for just $29 760. Go for the fully loaded Sport-Tech model, and you’re still under the MX-5’s entry price ($31 760). To conclude it all, I must admit that at the end of my week spent with this car, I just didn’t want to hand back the keys. It really does an impression on anyone who enjoys pure, straightforward driving. In daily traffic it won’t consume more fuel than your average Honda Civic, and no matter how fast you’re going, you’re always having fun. You can even enjoy a few hot laps around the track on the weekend without ruining your budget. This is affordable performance at its best, something the automotive industry definitely needs to take lessons from. Now, if you’ll excuse me, I’ll go back to building my own BRZ on Subaru’s website. Blue or red? + Very fun to drive. + Enough character to make it feel truly unique. often. Did you hire out a developer tto create your theme?